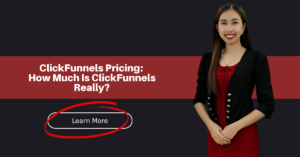 ClickFunnels Review: Why Is It Better Than Other Software? Clickfunnels Coupon: Get Up To 12 Months Free! One Funnel Away Challenge Review: You Should Have Brought It Already! 20 Amazing ClickFunnels Templates Proven To Get Sales! ClickFunnels Free Trial: Get It For 30 Days Here! 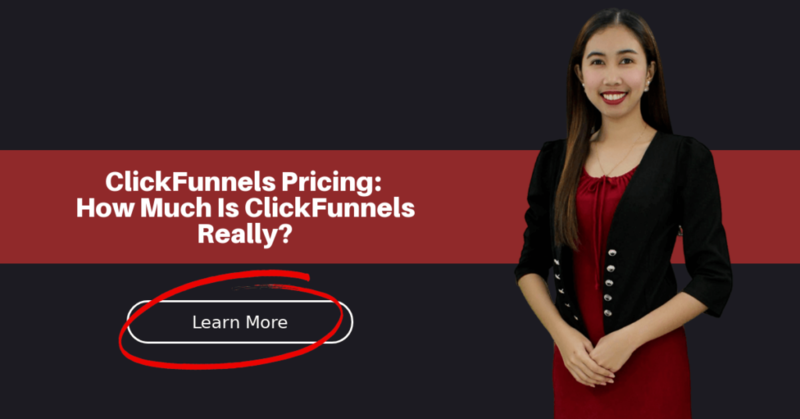 ClickFunnels Pricing: How Much Is ClickFunnels Really? GET A FULL 30 DAY TRIAL FREE! What will it cost you to get your hands on this super useful tool? Here is a guide to all of ClickFunnel’s pricing structures and how you can get full value for your money. This will help you make a more informed decision in terms of what you choose to invest in. 1 What determines how much you pay? 2 How much is ClickFunnels? ClickFunnels cost is determined by a variety of factors. The most important of this is the package that you choose. Each package from the company offers you access to different products and benefits. Another determinant is the timing plan that you choose to settle for. Finally, the cost will also be determined by whether or not you choose to go for a few of the company’s additional non-subscription products. Here is a bit more information on each of these factors and their effect on how much you will pay. ClickFunnels has 2 major packages and one lesser known one, all of which will be discussed in detail in the next section. One major difference in these packages is the number of funnels, pages, visitors, and leads you get. Cheaper packages have fewer options while the Full Suite option offers you unlimited numbers in all accounts. Another major difference is in the presence or absence of Actionetics. This is the part of the program that allows you to maintain communication channels with your leads. Finally the package you choose will determine whether you get Backpack services that allow you to integrate and efficiently run affiliate programs. This is a great way to get the most out of your funnel but it will definitely cost you more. ClickFunnels pricing packages are also grouped in terms of the duration of the subscription. In this case, the monthly package is the most popular. Larger limits also exist with the 6 monthly Funnel Hacks package and the Yearly Funnel Hacks package. These might cost you more at a go, but in the long run they will save you a lot of money. The company also offers one-off products including books and training sessions. These have their own fixed prices that are separate from the main packages. However, there are packages (like Funnel Hacks) that includes some of these services and products as discounted bonuses. Now that you understand what determines the price tag, it is time to talk about the actual figures. First thing’s first, let’s go through the prices for the different monthly subscription plans. Also known as the startup plan, this will set you back $97 every month. With this package you get 20 funnels, 100 pages and a visitor capacity of 20,000 per month. You also get unlimited leads and the option of 3 customizable domains. However, you will have to give up on the Backpack and Actionetics. This one is also referred to as the Full Suite plan and is pretty much as good as it gets from ClickFunnels. You get an unlimited number of pages, funnels, visitors, and leads in addition to the Actionetics and Backpack features. All this will cost $297 per month and if you use the tools properly you will get more than full value for your money. For example, since Backpack lets you turn your funnels into affiliate offers, you can easily make back your money from the additional sales these will net. The Etison Suite also differs from the standard plan in that you can also choose to get a 6 monthly subscription for $1997 or a yearly package for $2997. This is a ClickFunnels cost sharing plan designed for smaller businesses who either cannot or do not want to invest in the costlier packages. With this package, you get 3 funnels and 10 pages for only $19 per month. The one catch is that you can only get this offer through a special link that an existing funnel hacker has to offer you. You won’t find it available on the ClickFunnels site to purchase. It is a pretty good deal especially if you want to give the tools a trial run before going all in with your investment. The best part is that you get this for a month in addition to a 14 day free trial. That is plenty of time to understand the system and determine whether or not it would work for you. When you find a package you think would work for you but aren’t so sure whether to invest, then free trials will come in very handy. They give you a chance to try out the different tools in order to determine whether or not they are worth it. You can get a Clickfunnels Trial here. ClickFunnels pricing increases with the package levels only on face value. However, when you look deeper it becomes pretty clear that you save a lot by spending a lot. The Full Suite package is almost 3 times more expensive than the standard but the features you get access to are arguably invaluable. If you also think about it in terms of the returns you get from a well-implemented package, there is no doubt that upgrading is a great way to save and make money. You get access to different bonuses from special packages like Funnels Hacks (worth $997 for 6 months). This will give you access to free features including a 6 week Funnel Hacks master class originally valued at $2,997, the Instant Traffic Hacks class worth $1,997 and even access to the special Soap Opera and Seinfeld Email Sequences worth $997 alone. So how much is ClickFunnels? The answer is simple: the price is just right. It is very clear from their payment structure and various packages that they set it up to accommodate everyone from the beginning “wantrepreneur” to the full-blown internet marketing agency. If you are starting up with a limited budget, you can still get a whole lot from their standard package in terms of value and quality. If you have a little more wiggle room in your company wallet then there really isn’t a reason not to go all in. It truly is worth it. With all this information, you have everything you need to understand ClickFunnels costs and what you are paying for. That way you will be able to make the best decision for your business. Whatever the case, you can rest assured that you will not be disappointed. Sharing my experience and showing you how you can market your business or products more effectively. Previous Post One Funnel Away Challenge Review: You Should Have Brought It Already! Next Post Builderall Free Trial: Get 7 Days FREE! What Is SEO And Why Your Business Needs It! Copyright 2019 by Roxanne Carah Marante. Disclosure: I am an independent ClickFunnels Affiliate, not an employee. I receive referral payments from ClickFunnels. The opinions expressed here are my own and are not official statements of ClickFunnels or its parent company, Etison LLC.